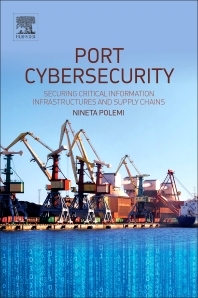 Nineta Polemi works for the European Comission and was previously an Associate Professor at the University of Piraeus in Piraeus, Greece, teaching cryptography, ICT system security, port security, and e-business and innovation. She has been a security project manager for organizations such as the National Security Agency, NATO, Greek Ministry of Defense, INFOSEC, TELEMATICS for Administrations, and the European Commission (E.C.) She has acted as an expert and evaluator in the E.C. and the European Network and Information Security Agency (ENISA). She is the director of the UPRC Department of Informatics security graduate program, and has participated in the national and European cyber security exercises in the last four years. Polemi has been published in more than one hundred publications, including the International Journal of Electronic Security and Digital Forensics, and International Journal of Electronic Security and Digital Forensics.